Sundial Brands CEO tells Sean Czarnecki why he is dialing up comms and marketing a year after Bain Capital took a minority stake in the $200 million personal-care products company. Headed by Dennis, Sundial Brands is a family-owned business that draws on its heritage to create and sell its products. Courtesy of Sundial Brands. Tell us the personal story behind the launch of Sundial. I came to the U.S. for college and by the time I graduated there was a full-blown civil war in Liberia and Sierra Leone, so I couldn’t go home. I needed to survive; I needed to eat. My mother, my college roommate (also from Liberia), and I started making the same preparations we made in Sierra Leone and selling them on the streets of New York City. Two or three days in, I realized, "Wow, people really want what we’re making." Back then no one knew what Shea butter was in America. And I was standing there talking to people about this wonderful product, its properties, the way it’s harvested, and what it means to these women and villages. Their eyes would light up and they’d tell us stories about ingredients that were part of their traditions and heritage. They’d ask us to add ingredients because it was the way their mother or aunt made it. All this interaction and feedback is really what we do. Back then, natural products weren’t widely available, nor were they known for efficacy, so we were at the cusp of bringing that to market. Does that open exchange with your customers take place today? We started out with one-on-one engagement on the street corner, before this tech age began. Now we have all these platforms to engage with so many people at once about subjects and products interesting to them. It leveled the playing field and allowed us to have real dialogue with consumers on a broad scale at an efficient cost. For example, women came to us on social media and said they’d use Jamaican Black Castor oil, but they couldn’t find it anywhere, or a product that meets the needs it met. So we researched it, sourced it, and created products. Today, it’s one of our largest collections. How does that translate into R&D? When our dedicated social media team of eight to 10 people engages with customers, they immediately get our R&D teams involved in the conversation. However, the vast majority of the company interacts with customers through social. How does being a B Corp company with a Fair for Life social and fair trade certification factor into Sundial Brands’ messaging? Not as many people know this part of our story, but there is a tremendous opportunity to get our story out there and grow our business. We have let customers know about those certifications and continue to do so. If you pick up our product, then you know that — it’s for the people who haven’t engaged with us. We also have to teach them what these things mean, such as community commerce. There’s more depth to it than marketing. It’s a 360 degree integrated approach, how we show up on shelves, in traditional media, social media, and the depth of our comms on all channels that engages consumers. How has the Bain Capital money helped you broaden your customer base? It got us to a scalable platform, as well as providing infrastructure and resources to leverage those platforms. It’s given us bandwidth and access to data, infrastructure, and resources to tell a larger story on a broader platform, reaching people who haven’t heard of us. Tell us about SheaMoisture’s #BreakTheWalls, your first TV ad marketing campaign, created by Droga5. We serve customers with problems mainstream brands underserved at best or ignored at worst. Whether that means the consumer is seeking natural solutions or has different needs, such as big, curly hair — brands haven’t focused on solving their problems or voicing issues important to them. We’ve been working toward #BreakTheWalls for the past 10 years with our retail partners. How do we improve the shopping experience for all customers and make it more inclusive, as opposed to being tailored for a subset? #BreakTheWalls was an extension of that message to a broader audience. As you go head to head with legacy companies like L’Oreal and P&G, how do you tell a better story? We have to continue to tell stories that are authentic to what we’re doing. We don’t look at it and say, "Hey, this is going to be popular, let’s do it." We ask whether we’re giving our consumers a voice, better shopping experience, and offering something of greater value than shampoo. What’s the comms division look like at Sundial? We continue to grow our 6-8 strong comms team and some responsibilities overlap. If you pair PR with our social team, it’s 38 people. All the teams interact with each other, driving toward the same objectives on different platforms. 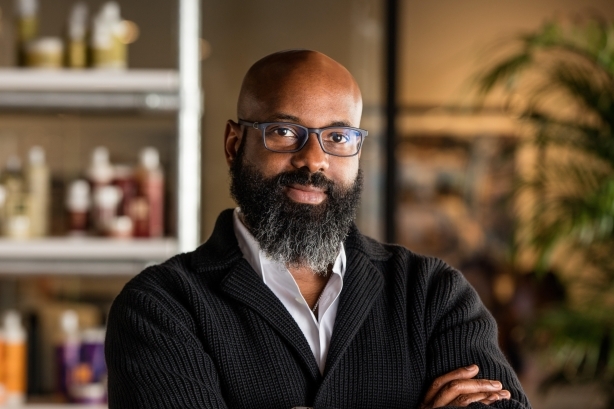 Sundial works with LaForce for SheaMoisture (U.S.)/Nubian Heritage; Sparkle for SheaMoisture (U.K.); RL for Hispanic outreach for SheaMoisture; and Janice McCafferty Communications for Madam CJ Walker Beauty Culture and Sundial Brands corporate.